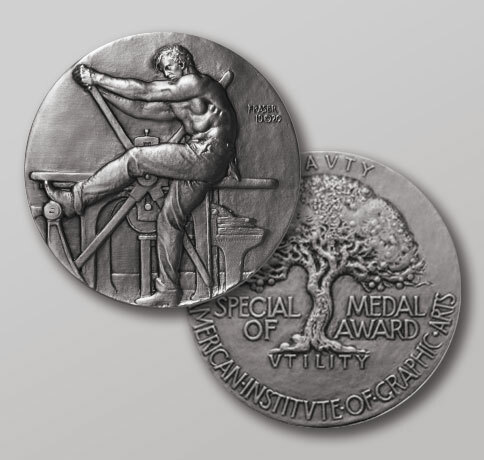 The medal of the AIGA, the most distinguished in the field, is awarded to individuals in recognition of their exceptional achievements, services or other contributions to the field of graphic design and visual communication. The contribution may be in the practice of graphic design, teaching, writing or leadership of the profession. ... Individuals who are honored may work in any country, but the contribution for which they are honored should have had a significant impact on the practice of graphic design in the United States.